Firstly on this Guru Rinpoche day, I would like to share a short video in which I talk about the five dear friends that everybody should have. Watch the video here, or click the image above. Next, I would like to talk about motivation. These days when we talk about enlightenment, many people, including sometimes myself, don’t have a full understanding of what enlightenment really is. As a result, they end up thinking that it’s not of much benefit or relevance to them and then lose the wish to reach enlightenment. And this can happen to us whether we be practicing dharma or involved in the mundane world. But if you can do what you do—whether it be the dharma or ordinary activities—with the ‘mind of enlightenment’, meaning the motivation to help free all sentient beings from suffering and the cause of suffering and establish them at the precious state of enlightenment, it has a really positive effect. From one’s own side, when you have this motivation you become free from personal, selfish desires and free of anger and aversion towards others. And when you are free of both selfish desires and aversion then you don’t make many mistakes; you are free of ignorance. On the other hand, when you have selfish desires and this kind of self-importance you might regard yourself as having many good qualities and others as being lower than you, and then you easily criticize others and can end up making many problems. So this motivation, the mind of enlightenment (bodhicitta) is so important and beneficial. For example, in the morning when I recite prayers and make the sang (smoke) offering and so on then I do it focusing on all of our monks and nuns, the Rinpoches, our students, sponsors, the people working in our Foundation, and all the people I know with the wish to benefit them through these prayers. But at the same time we also need the mind of enlightenment that focuses on all sentient beings. And sometimes I forget that. My motivation is indeed very positive—to benefit everyone I know, meaning the lamas and monastics, and all our students and friends—but we need to have the motivation of the mind of enlightenment that keeps in mind all sentient beings and sometimes we can forget that. So in this case the motivation I have is not perfect. There is attachment to others and aversion or indifference towards others. Even if you don’t have any evident aversion to others, if you fail to include all sentient beings in your motivation and think, “Well, I don’t know those other sentient beings, they are strangers to me, I have no real reason to focus on them or think of them” this is actually an aspect of aversion and ignorance. We need to include all sentient beings with the wish that we can help all of them attain perfect enlightenment, understanding that we have been connected to them from beginningless time up until now through the relationships we’ve had with them throughout our past lifetimes—as mothers, fathers, friends, relatives. If you can really think about this, engender this motivation, and take it to heart you will feel quite differently towards other sentient beings. How so? Immediately your anger and aversion will decrease. Likewise, your self-interest and selfishness will decrease. Your mind will become more open, relaxed, and joyful, and also kinder. This being so, today I would like to remind you all about this precious motivation of bodhicitta, the mind of enlightenment. Whether you are practicing the dharma or doing ordinary things, do it with this motivation seeing that all sentient beings without a single exception have been your parents and dear friends in the past and that you are connected with them in that way and wishing all of them to be free from their suffering and its causes and attain the precious state of enlightenment. What is enlightenment? The state free of all negative emotions and suffering and endowed with primordial wisdom. This motivation is so important. 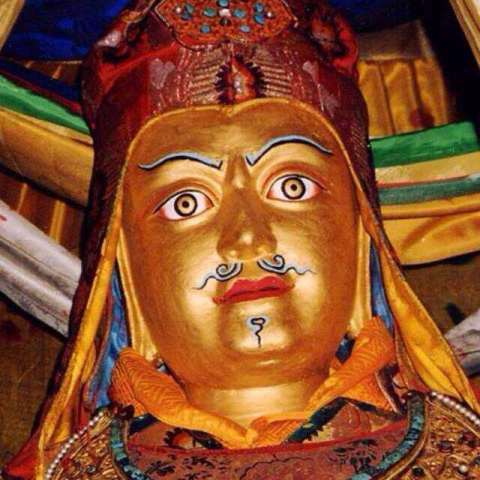 So today on this precious occasion of Guru Rinpoche Day, please make some prayers, practice generosity, perhaps give your parents a gift, be loving to your children and others, and speak kindly to people. If you are a practitioner, then do some practice. Do some meditation, some recitation, make prayers, and if you know how then make a gathering (feast) offering to Guru Rinpoche. And throughout please keep all sentient beings in your heart and think of them. Work on developing this motivation that thinks of all sentient beings. First of all, on this very auspicious Guru Rinpoche day, I would like to share with you this short video in which I give some advice on how to solve our problems in daily life. 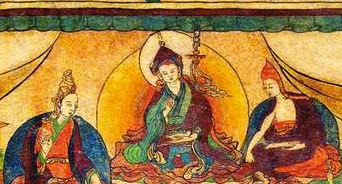 I also explain the meaning and significance of supplication to Padmasambhava by means of the six vajra verses . Grant your blessings, we pray! Be quelled, and may all our aspirations be fulfilled. Lastly, I’d like to know what I can do to help you in your practice. Please complete this simple form to let me know what you need and what obstacles I can help you overcome. I’ll try to fulfill your wishes in the coming months. These days we often mistake what it’s meant to be a dharma practitioner. The heart of the buddhadharma is to tame one’s own mind, so a dharma practitioner is someone who is able to do this, who can see their own faults, address them, and tame and transform their minds. Someone who is unable to do this is not a dharma practitioner. Secondly, a dharma practitioner should be sincere and honest. So if you wish to practice the buddhadharma authentically this you need these qualities. In terms of our motivation for practice, we need to have compassion and our compassion should have four qualities. To generate compassion means to see sentient beings’ suffering and the causes of their suffering and to wish to free them from it. You also need to be able to see your own suffering and its causes, to see and experience this directly for yourself. If you can, it will not be difficult to generate compassion for others. Likewise, if you can understand that you have been connected to all sentient beings from beginningless time until now as parents and children that will make generating compassion easier, and will also help you to have more equanimity. You need to contemplate compassion in this way and when you see someone else suffering put yourself in their shoes and try to imagine what it would be like to be going through what they are going through. If you can put yourself in their position and really understand their suffering, you’ll develop some compassion. Having developed this initial compassion then you need to improve it. Don’t leave compassion as a mere thought; apply it in your behaviour and actions. When you do this you will be able to see whether your compassion is genuine or not, whether it is pure, strong, and constant or not. This is the first quality our compassion should have: application. Since compassion is the wish to free oneself and others from suffering and its causes the second quality our compassion needs to have is dignity. Dignity here means you see and acknowledge your suffering and the suffering of others, and you have the confidence that you can dispel it and its causes, that you have the means and methods to do that. Where does this dignity arise from? It arises from genuine practice of the dharma. It is through practice that you will develop this confidence that you can bring about change. And therefore, someone who has this dignity is a practitioner. Someone who lacks this dignity, who lacks the confidence that they can change, is not a practitioner. The third quality is aspiration, the sincere and heart-felt aspiration to benefit other beings. We need to have this genuine aspiration and wish. But it’s not enough to leave it there, as an aspiration. To make our compassion pure, we need wisdom, prajna. So to reiterate, whatever we do we should do it with compassion – we need to apply compassion in all of our actions. Secondly, our compassion needs to be accompanied by dignity, a confidence that we can change. Thirdly we need aspiration and fourthly wisdom. If our compassion has these four qualities, it will be pure, genuine, and strong. Since, as you all know, we need to develop this kind of genuine compassion then while thinking of you all on this Guru Rinpoche Day I am sharing these few points on compassion with you. But in addition to generating compassion ourselves we also need to teach our family and friends about compassion, to talk about it calmly and nicely with them while continuing to practice it ourselves. I hope this finds you all well and happy. I recently finished two months of retreat and have been keeping you all in mind and heart. At the moment at our monastery in Kathmandu, Nepal, Tsikey Chokling Rinpoche and Chokyi Nyima Rinpoche are presiding over the annual Ngakso (Ocean of Amrita) puja which runs twenty-four hours a day for nine days dedicated to the health and happiness of all beings and the fostering of world peace. Likewise, Gyari Rinpoche, my father-in-law, has been performing 100,000 recitations of Leu Dunma, The Supplication to Guru Rinpoche in Seven Chapters in Sikkim, India. They will complete the 100,000 recitations today. What I’d like to mention in today’s message are a few points that apply both to the mundane world and the spiritual path. Whatever the circumstance may be there is such a difference between people who gather merit (or positivity) and those who do not. What’s meant by ‘accumulating merit’? Firstly, to be able to cultivate compassion. To have an altruistic motivation and to do things to benefit others. To help people in an appropriate way such as giving advice, and likewise to be generous, disciplined, to develop patience—to develop these kinds of qualities and do things with a pure, sincere wish to help.Moreover, someone who regards themselves as a Buddhist should ‘make offerings upwards and practice generosity downwards’ meaning that one should make offerings ‘upwardly’ to our objects of refuge, the buddhas, our spiritual teachers, and the sangha, the community of practitioners. Similarly, you should give ‘downwardly’ to sentient beings. So make offerings and practice generosity like this on a regular basis.It is through these kinds of actions (done with a pure motivation) that one gathers merit, and the result of this is that you will encounter fewer obstacles and hindrances in this life (whether they be outer, inner, or secret), your aims will be fulfilled, and things will go smoothly for you. In addition to gathering merit, we also need good role models to follow. It has been more than 2500 years since Buddha Shakyamuni passed into parinirvana, yet the transmission of his teachings remains up till today embodied and upheld in the present genuine and qualified dharma teachers. These teachers are excellent role models for us. To follow their example and teachings is excellent. They really are one of the best examples we can find.In my case my role models are my meditation teachers, for example Kyabjé Tulku Urgyen Rinpoche and Kyabjé Nyoshul Khen Rinpoche. Both of these teachers were extraordinarily kind-hearted, generous, caring, and patient, and outstanding meditators. They were amazing people. So you likewise need to find this kind of role model, someone with truly excellent qualities, to look up to and try to emulate. As Buddhists, our shared role model is of course Buddha Shakyamuni himself.By relying on such role models, we will be able to mould and transform our character and behaviour into something much more positive, and as a result we will encounter fewer difficulties.This is particularly important for dharma practitioners since as practitioners we need to unravel the true intent and meaning of Buddha’s teaching: the innate, natural state. We need to understand this and know how to train in it. And to take a genuine dharma teacher as your example and follow their teachings will booster and enhance your understanding and practice of the natural state. Whatever activity it is you are involved in, whether mundane or spiritual, you need to approach it withintelligence. You need to ask yourself, “Okay, what qualities are needed to fulfil this role? How should this job be done? What information is needed?” You need to acquire the necessary skills and qualities, to listen to and learn from others, and to change yourself. As for learning, you all know how to do this. It can sometimes be difficult to listen to and learn from others but we need to do it. And thirdly, change—we need to mould and transform ourselves: if you are lacking certain needed qualities, then learn to develop them. If you see you have some faults, then slowly work on transforming these faults; don’t just leave them as they are. Otherwise you will never improve.In terms of the dharma, we need the intelligence of knowing the natural state and never parting from the motivation of bodhicitta, the mind of enlightenment. 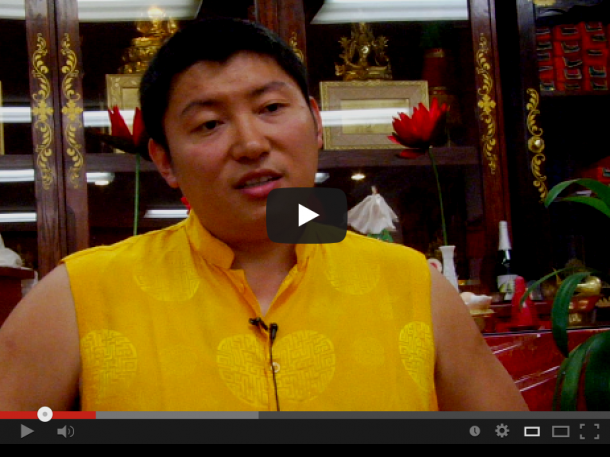 These days many practitioners are losing bodhicitta. Sometimes I also find myself thinking, “Can I really reach enlightenment? Is it really possible? And in any case, will it really be of benefit to others and to myself?” The state of enlightenment, buddhahood, is the ultimate benefit, the ultimate bliss, the ultimate peace, and the ultimate, unsurpassable method to benefit oneself and others. This being so, we need to develop the wish and determination to attain enlightenment. This is bodhicitta, the mind of enlightenment. So as a practitioner, with intelligence we should receive genuine dharma teachings from a genuine teacher, reflect upon them genuinely, and put them into practice genuinely. Dignity. Sometimes we encounter problems and challenges in our mundane lives, or we experience failure. In these cases, we shouldn’t let the setback rob us of our dignity and confidence. We should approach the situation in a constructive way: think, “Okay, I didn’t succeed here. Why not? What was I missing? What did I do wrong?” And take it all as experience. Then set out to remove the faults and flaws that caused the problem so you’ll be able to succeed in the future. You should feel confident that, yes, I can attain enlightenment, I can benefit beings. Here in samsara I can help my family, I can support the sangha and benefit sentient beings. I can do it. I can achieve things, and I can live a joyful, meaningful life. In this way, we need to nurture inner dignity and confidence, even in the face of challenges.This kind of dignity is such an important quality, and for practitioners it is simply indispensable. Kyabjé Tulku Urgyen Rinpoche would say that without dignity you cannot succeed in dharma practice, and in particular in meditation. This dignity is a kind of courage, a decisive, unwavering confidence. It is not a shaky or hesitant state of mind, like thinking, “Oh, I am not sure if meditation will really be beneficial or not… I wonder if my meditation is okay or not…” Nothing like that.Some people know the dharma, they understand, but still ask questions. This is a clear sign of lack of confidence and doubt. Of course if you don’t understand something or don’t know something then you need to ask and should ask, but when you find yourself asking questions and feeling doubt about things you already know that is a sign of lack of dignity. So what is the remedy for this? How can practitioners develop this dignity? Supplicate the buddhas and Supreme Ones (buddha, dharma, and sangha). This is the general approach common for all Buddhists. If you are a Vajrayana practitioner, also supplicate your gurus and supreme yidam deity and train in developing divine dignity. Whichever approach you follow, make supplications that they bless you with inner dignity. Since some of you reading this email are probably not practitioners and some of you are, I am sending you these four points since they are relevant to both. I am well and I hope you are all healthy and happy too. I have been thinking of all of you, my dharma brothers and sisters. In our lives, we need the spiritual path, meaning we need to practice. So please, be happy in whatever it is that you’re doing; don’t always look at others and get caught up in comparison. Mind is very skilled at searching out things to be unhappy about. This being so, I feel it’s extremely important to remind yourself everyday of how fortunate and happy you are. Today I would like to send you two poems, one about compassion and the other about the negative emotions. Compassion is the essence of human beings. Compassion can remove our faults. Compassion is the jewel heart of courageous ones. Compassion is the root of buddha. Compassion can improve our worldly lives. Compassion can benefit ourselves and others. To practice compassion is very important. Negative emotions are like a light for human beings. For without negative emotions we do not see our faults. Negative emotions are like camphor; medicine for some, poison for others. Negative emotions are the root of benefitting beings. When you know negative emotions, happiness begins. When you do not see the negative emotions, suffering begins. The essence of negative emotions is wisdom. I wrote these two poems in my simple retreat in USA while looking out of the window one morning. There was a very beautiful purple orchid, seven flowers blooming in one pot, and looking at these flowers I wrote these poems for everybody. Practitioners should be like sunshine that shines constantly without thinking. Happiness should be like sunshine that shines without doubt day and night in different places throughout the world. Practitioners should be diligent like sunshine, which comes at the right time without any delays. Our wisdom should be like sunshine, unobstructed by any negative emotions, shining throughout the world. Compassion should be like sunshine benefitting the entire world—different people in different times with their different needs—bringing about happiness. In this way, sunshine has many different meanings for practitioners. 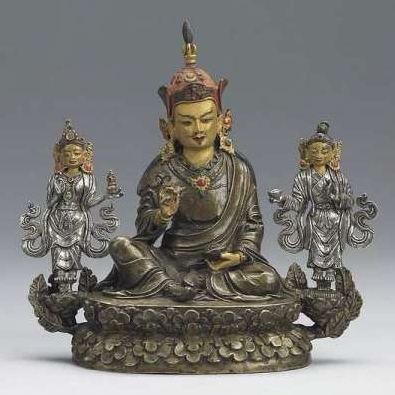 What I would like to share with you on this auspicious Guru Rinpoche day is a short contemplation on the importance of balance. In life, one of the most important things I think is balance, especially as a practitioner but of course in ordinary life as well. Balance what? Yourself, your work, your family and friends and so on. As a spiritual practitioner it is very important to balance all of these things. How to balance them? The most important way I think is to reflect. So firstly, what responsibilities do you have? How are you going to keep them all up to date and not neglect them? Have you informed everyone you need to inform? To balance our different responsibilities in life is very important. I am sending this from transit in Istanbul airport. With many aspirations for you all. Our routine is extremely important. In terms of practice, this means keeping a daily routine of practice. This is the first point. Secondly, generating compassion—correct, unmistaken compassion—and balancing it with meditation is very important. And thirdly, finding our own faults, but without judging ourselves. This is key, but it is also quite difficult. We have our own problems, difficulties, and in particular bad habits. We have a lot of selfishness and many bad habits. So it is very important to check and become aware of these. Please try to keep these points in mind and apply them throughout your lives.